Pure Biology Anti-Aging Night Cream Review: How Does it Benefit Your Skin? You are here: Home / Beauty / Pure Biology Anti-Aging Night Cream: How Does it Benefit Your Skin? 2.6 Who is it for? There are significant reasons why night creams become a hype. When we take the night shift and cuddle in our blankets and pillows for a good night sleep, our skin transitions to recovery mode. The regeneration and repair process takes place as we revel in a healthy sleep. According to experts, skin renewal and repair at night can speed up three times than the process that occurs during the day. As the peak hours for repairs and regeneration are during nighttime, applying a night cream with an anti-aging formula and beneficial ingredients can bolster the skin’s natural regenerating process. Therefore, you can achieve a more youthful, smoother, softer, and healthier skin. So, if you’re all worried about your fine lines and wrinkles, you probably need to add a night cream to your skincare routine. If you still can’t find the ultimate age-defying night cream, you can start off with Pure Biology Anti-Aging Night Cream. In this in-depth review, I’d be happy to guide you out on the essential details you need to know and how this night cream can truly benefit your skin. It hydrates, restores, and renews. It cradles an anti-aging technology, a fusion of the potent anti-aging ingredients such as retinol, hyaluronic acid, and Pure Biology’s patented Fision Wrinkle Fix and the extracts of Baobab TIEN. Besides this age-defying building block, Pure Biology Anti-Aging Night Cream is formulated not only to eliminate the signs of aging but also to provide prevention before they even start to pop up. It is formulated to diminish fine lines, wrinkles, and other age spots. The anti-aging ingredients also work to make the skin much firmer. With hyaluronic acid as a key ingredient, this night cream deeply hydrates and moisturizes the skin. It helps speed up the renewal process of the skin, therefore leaves the skin smooth, healthy, and young-looking. It defends the skin from the effects of aging. It can also be a great solution for wrinkled and sagging neck and to reduce wrinkles along the lower neckline and chest. It is ideal for all skin types including sensitive and acne-prone skin. Without question, Pure Biology Anti-Aging Night Cream is beneficial to the skin. However, it is always important to know what kind of anti-aging products you apply prior to purchasing and settling with the final pick- if they are safe and effective. With this comprehensive review, I have uncovered the essential details, the benefits, and the pitfalls that will help you decide whether to try it or not. 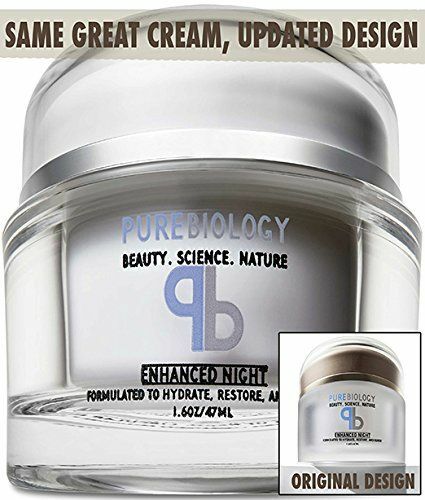 Pure Biology Anti-Aging Night Cream is an anti-aging night cream that is formulated to reduce fine lines, wrinkles, and other age spots while keeping the skin deeply hydrated and moisturized. As what this product claims to be, this night cream revitalizes, repairs, and renews the skin to reveal a young-looking complexion. With its beneficial ingredients, this night cream does the wonders to diminish fine lines, wrinkles, and age spots. While it works on these effects of aging, it penetrates the skin and delivers lasting moisture and hydration. This night cream is comprised of revolutionary ingredients that encourage the skin’s natural ability to produce hyaluronic acid, a component that keeps the skin plump, hydrated, and young-looking. Wrinkled and sagging areas along the neck, chest, and lower neckline can also be gradually treated with its anti-aging properties. Hence, firm, toned, and youthful skin. Hyaluronic acid – It is a building block that is naturally present in the body. It enhances the skin’s overall texture and delivers lasting moisture and hydration to the skin. FISION™ Wrinkle Fix – Pure Biology introduces this anti-aging technology that is a fusion of unique plant peptides that promote enhancements in cellular vitality. It also boosts the body’s natural ability to produce hyaluronic acid. Extracts of BAOBAB TIEN™ – Extracted from the fruit of the African Baobab tree, these elements have the ability to boost moisture retention and provide a fundamental defense against the effects of aging. Retinol – It is a common anti-aging ingredient that is responsible for keeping the skin rejuvenated and thus, a healthier and smoother skin. What I like about it is the lightweight formula. With just a little amount, it can go smoothly all over your skin like a serum or soft gel. It is not greasy and does not leave a muggy feeling, but rather refreshing. There have been issues about it whether it dries the skin out or not. Some consumers have found it really drying and didn’t achieve the hydration they need. Although there have been issues, do know that the results may always vary depending on your skin type and application. It is formulated for all skin types. Whether you have sensitive or acne-prone skin, this will also work on you. However, it would still be better to apply a small amount on the side of your neck to determine any possible allergic reactions. 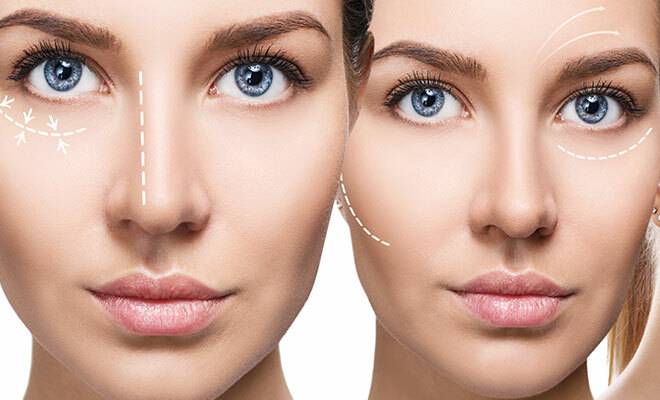 Men and women who go through the stages of aging where age spots, wrinkles, fine lines, and even when sagging becomes visible, can try this out. 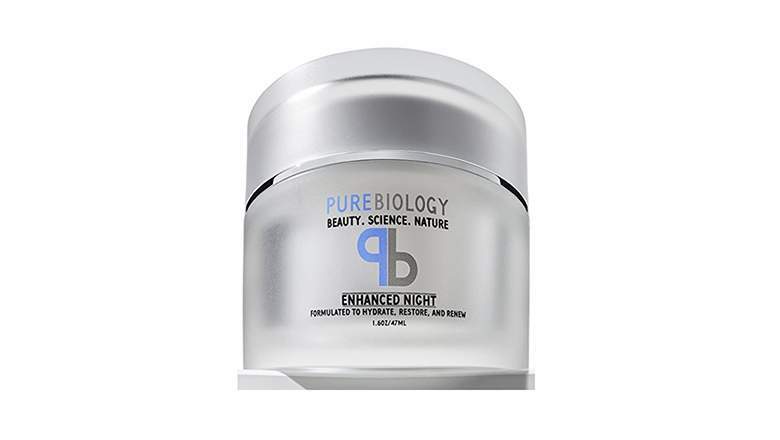 When you’re looking for a night cream to cap the night off, Pure Biology Anti-Aging Night Cream will do. It has the beneficial ingredients and key anti-aging properties that can renew and repair the skin as you indulge in sleep every night. As what Pure Biology promises, it restores, renews, and hydrates the skin. It does benefit your skin in many ways. I personally think that it can play a vital role in skin repairs and reducing fine lines and wrinkles. However, this targets adults, men and women who are usually over 40s and have manifested signs of aging. Peter Thomas Roth Anti-aging Cleansing Gel Review! !